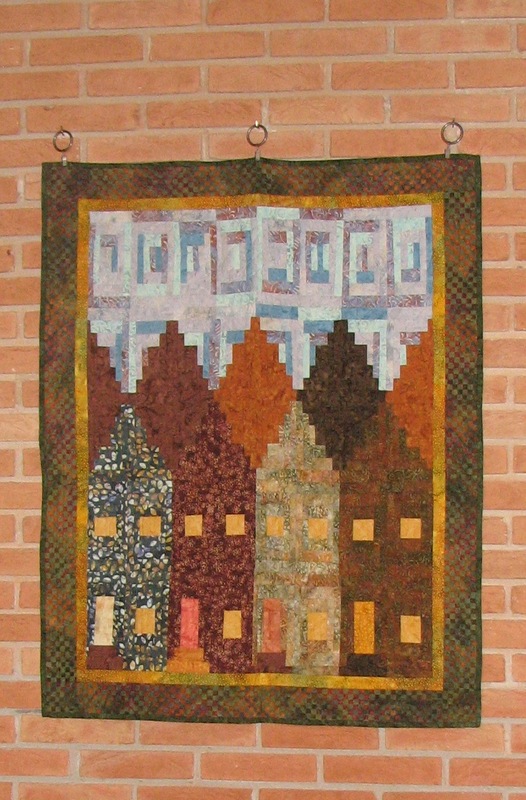 When I started quilting I made about a dozen log cabin lap quilts before I moved on to something else. 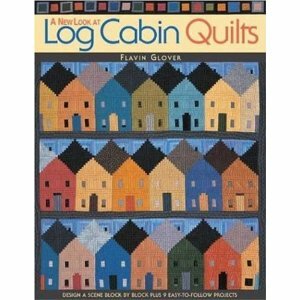 Not surprisingly, the second book I purchased was Flavin Glover's "A New Look at Log Cabin Quilts" (I found it here). What a wonderful book! Her landscape scenes with log cabin blocks are fantastic! Using batiks, I created the wall hanging pictured on left. My husband, reluctantly, let me give it to my sister who lived in Boston at the time. The quilt now hangs at the foyer of her house in Sao Paulo, Brazil. I have wanted to make another quilt based on Flavin's book, as I love the way she interprets her favorite scenes using log cabin blocks, but other patterns and ideas got in the way. This week, however, while attending a trunk show at the Museum of Arts in Springville, Utah, I heard that Flavin will teach a class at the Utah Quilt Fest in St. George this September. Although I will not be able to make it to the Fest, I took her book out and read it cover to cover again. I think my husband will finally have his row-house quilt after all! If you haven't seen her book, check it out! Her designs work very well with batiks, solids, textures, and small scale prints. 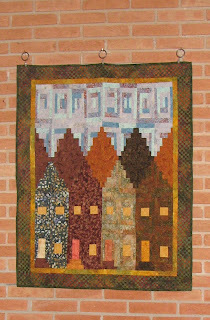 I would love to see pictures of your quilts using log cabins in non-traditional ways. Share them and I will post them on my blog. In the meantime, thanks for stopping by!